Shandong (Chinese: 山东; formerly romanized as Shantung) is a coastal province of the People's Republic of China, and is part of the East China region. Qingdao ([tɕʰíŋtàu]; also spelled Tsingtao) is a city in eastern Shandong Province on the east coast of China. It is the largest city in its province. 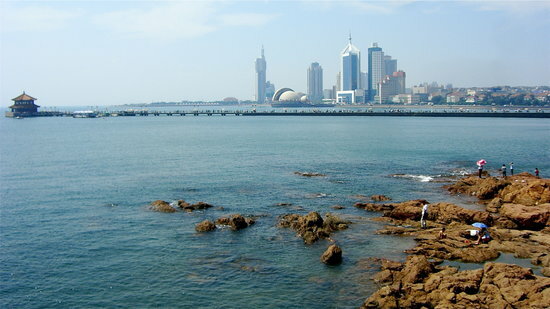 Administered at the sub-provincial level, Qingdao has jurisdiction over six districts and four county-level cities. As of 2014 Qingdao had a population of 9,046,200 with an urban population of 6,188,100. Lying across the Shandong Peninsula and looking out to the Yellow Sea, it borders Yantai to the northeast, Weifang to the west and Rizhao to the southwest.